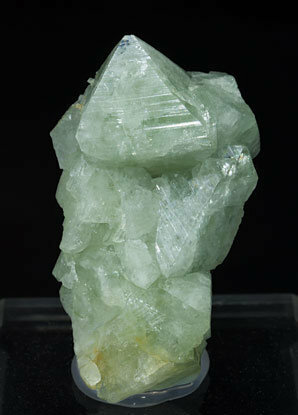 Aggregate of very sharp dipyramidal crystals, translucent and bright, with a pale green color and a considerable size for the species. 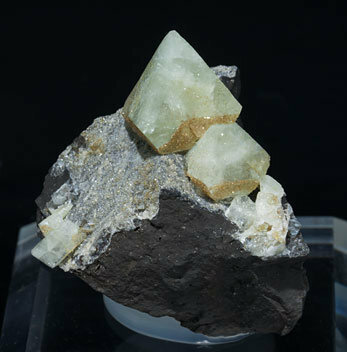 Two dipyramidal crystals on matrix, very aerial and sharp, translucent with a pale green color and with some faces partially coated by microcrystals of Childrenite. 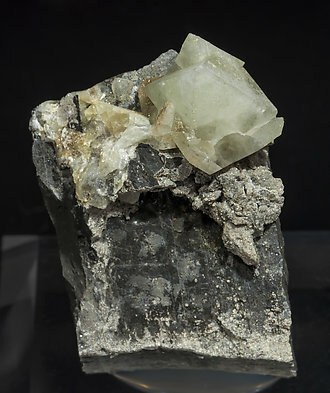 Two dipyramidal crystals on matrix, very aerial and sharp, translucent, with a pale green color and with some faces partially coated by microcrystals of Childrenite. 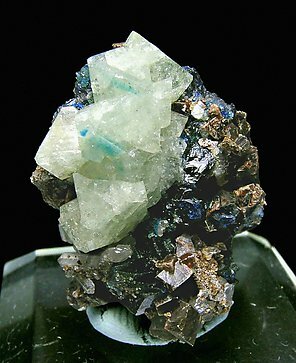 Aggregate of dipyramidal crystals on matrix. 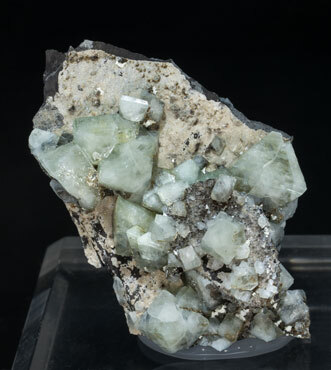 Very sharp, translucent, and with transparent vertices, they have a pale green color and have some of their faces are partially coated by microcrystals of Childrenite, also present on the matrix.